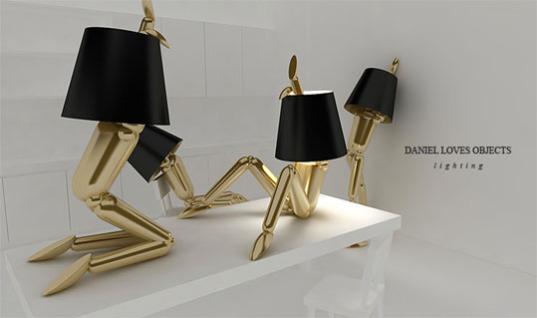 Mannequin Lamps "At Your Command"
Consistent with my theory that today's designers just want to have fun, comes Daniel Loves Objects, an industrial designer from Singapore, who clearly had a great deal of fun creating his "At Your Command" mannequin lamps. The truly original At Your Command lamps are double-jointed, even better than "human" mannequins, so you can bend the feet, knees, hips, waist and neck in any direction. 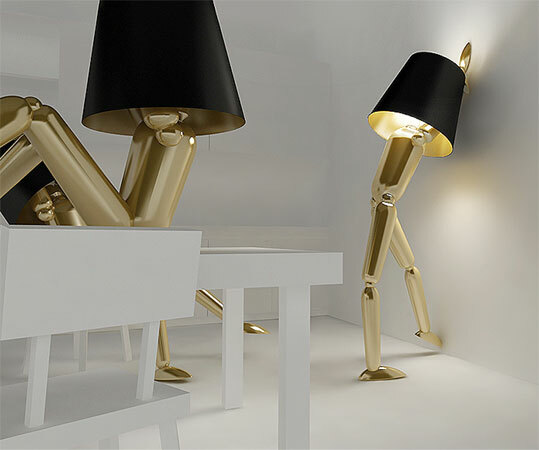 I'm not sure about the arms; they seem to be holding up the light and the lamp shade. 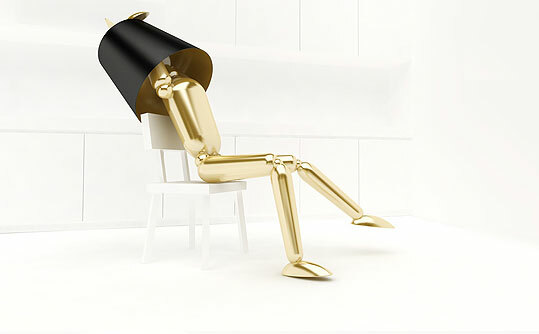 Isn't is amazing how well the At Your Command lamps imitate human posture and attitude? To me, the lamps look like four friends hanging out, maybe discussing a project they are working on or where to go for Spring break! Daniel Loves Objects writes that he has removed the wires from the lamps "for visualization sake," but hopefully, these lamps could be made wireless. Electrical wires are a visual intrusion on any interior design, not to mention physical hazards, and it's way past time they were replaced by more advanced and eco-friendly technologies. Daniel Loves Objects has more clever and practical designs on his website. He is an idealist who says he strives to make people happy with his designs. Daniel and I and Gloria (who tipped me off to these lamps) hope that his At Your Command lamps brought a big smile to your face today.